By now, I imagine many early adopters of the Nintendo Switch are nearing the end of their adventures in The Legend of Zelda: Breath of the Wild‘s excellent rendition of Hyrule, but as that journey comes to an end, the question that remains is, what’s next? As of now, there’s not a great deal of games available for the Switch besides Nintendo’s aforementioned flagship title and the likes of Super Bomberman R or I Am Setsuna, but this week’s eShop update should help to offer some more variety. Do note, however, that the word new you can see in the title of this post should be taken with a pinch of salt. Four games are due to be available this week, and while they’re all new arrivals for the Switch, each has been available on other platforms for a good while. Human Resource Machine, Little Inferno and World of Goo, all the creations of the Tomorrow Corporation, are available for $9.99 a pop and worth a try if you never had the chance to play the original releases. 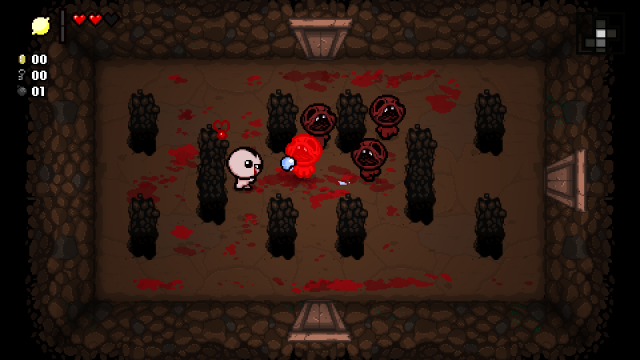 Headlining this batch of new games, though, is undoubtedly The Binding of Isaac: Afterbirth+. Originally intended to launch alongside the Switch on March 3, the pedigree roguelike title, which has gone through several iterations, was delayed until March 17. 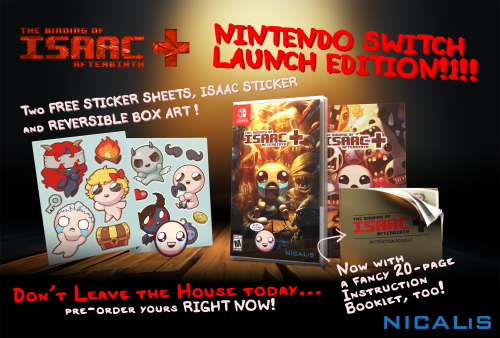 You can pick it up tomorrow direct from the eShop or, if you fancy it, a physical edition will be available on the same day, which includes a bunch of neat extras not included with the digital edition, including a retro-inspired instruction manual and two sticker sheets. As for the future of Nintendo’s first-party support for the console, Splatoon 2, Super Mario Odyssey and Mario Kart 8 Deluxe are all on the cards for a release before the end of 2017, the latter of which received a new trailer earlier this week, revealing new character Gold Mario.